Do you have an elder in your family who has stories to tell but few members of the family have heard them? Would you like to learn how to record and preserve the stories of struggle and triumph of your parents or grandparents for your own children and grandchildren to know? Learn how through this two-part workshop offered by the Pacific Canada Heritage Centre in partnership with UBC Asian Library. 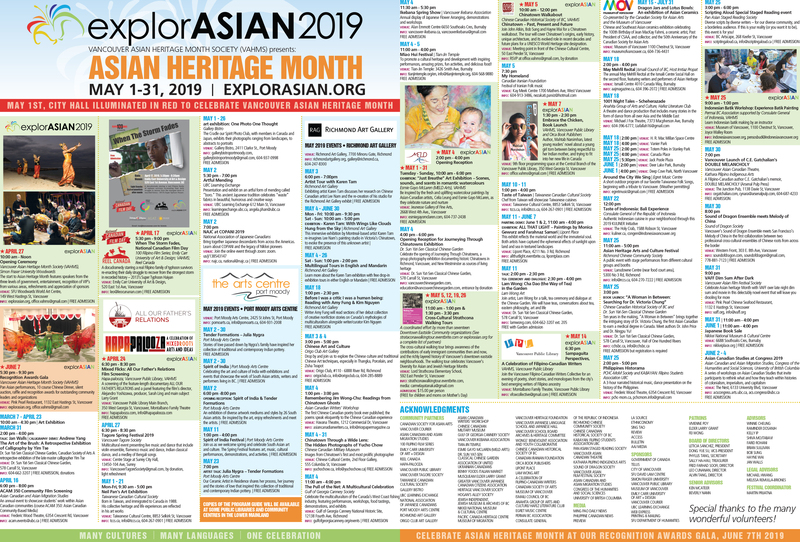 Learn how stories are gathered, and how the histories of Asian migrants to British Columbia and Canada can be exhibited as an heirloom for generations to come. There is a nominal fee of $5 for registration for a workshop with film makers, oral historians, and experienced students trained through the Asian Canadian and Asian Migration Studies program at UBC. Attendance for our initial Information Session is free. 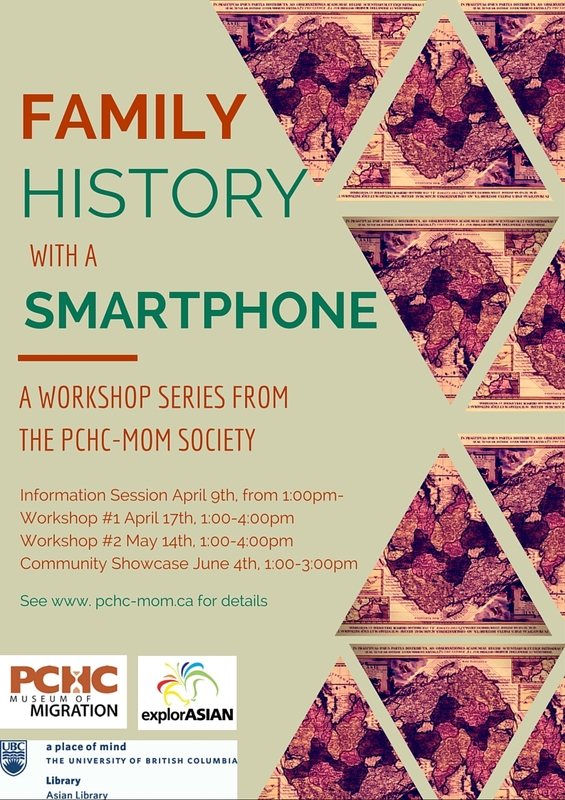 PCHC’s “Family History with a Smartphone” workshop series is a part of explorASIAN 2016, a month-long festival of Vancouver Asian Heritage. We encourage all cultures and generations to come out — bring your grandfather, granddaughter, great uncle, niece, nephew! Drop by the UBC Learning Exchange, 612 Main Street for small refreshments and tea and learn more about the workshop series! We will be showing films from our Banquet of Stories event last September, and encourage both new and former friends to attend! Come out to the Asian Centre Auditorium, 1871 West Mall, UBC, for our first workshop led by film makers, oral historians, and experienced students trained through the Asian Canadian and Asian Migration Studies program at UBC. Learn how to conduct interviews and beginner techniques with accessible technology. Refreshments provided, $5 registration for two workshops. Come out to the Asian Centre Auditorium, 1871 West Mall, UBC, for our second workshop led by film makers, oral historians, and experienced students trained through the Asian Canadian and Asian Migration Studies program at UBC. Bring the footage you have gathered since the last workshop and learn beginner techniques for editing, and where to go from here. Refreshments provided. Come out to the Asian Centre Auditorium, 1871 West Mall, UBC, to see volunteers display the footage they have gathered, hear your fellow participants talk about their stories and experiences, and enjoy refreshments and conversation with your community. Tags: explorASIAN 2016, festival event, PCHC-MoM, UBC Asian Library. Bookmark the permalink. Previous post ← Travelling Exhibition: Gold Mountain Dream!